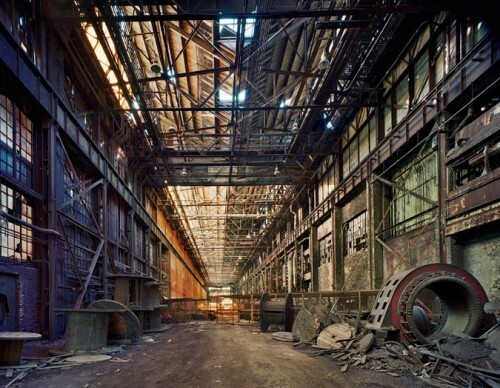 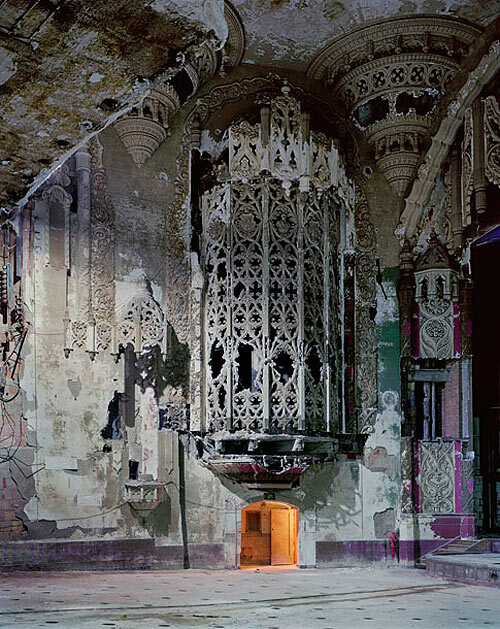 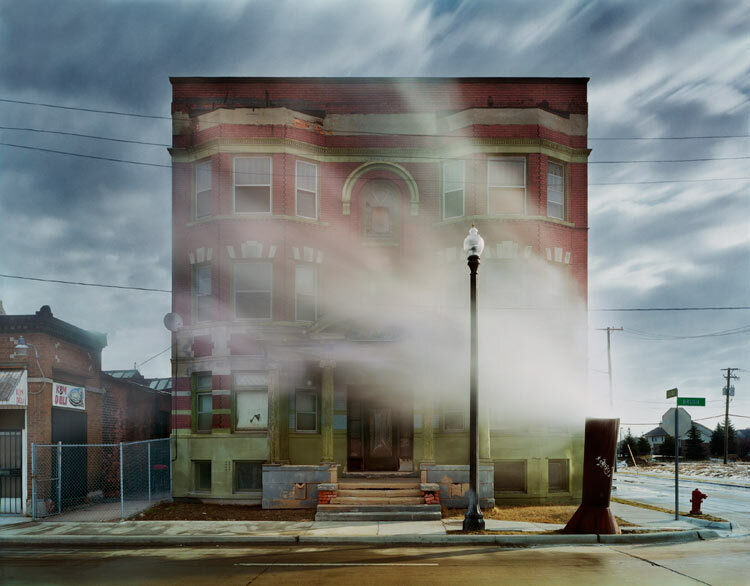 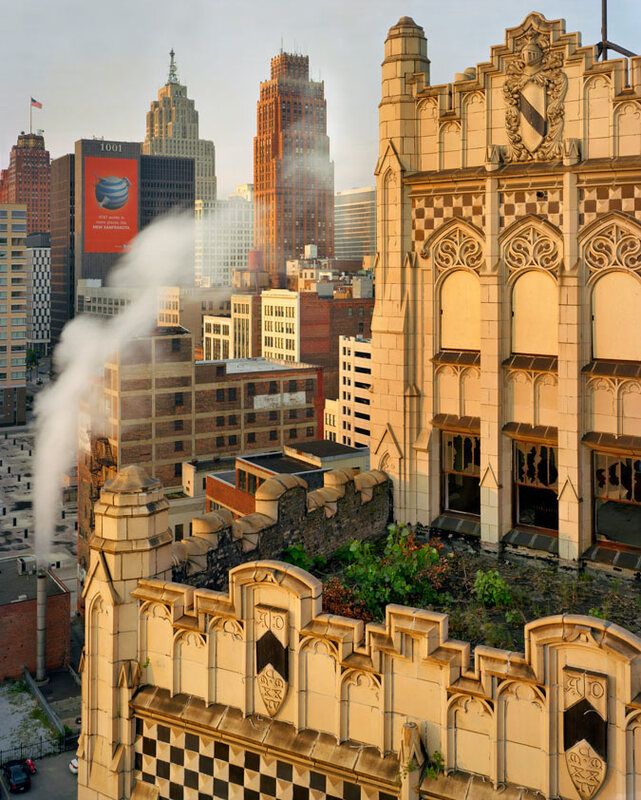 The Queens Museum of Art (QMA) presents the powerful photography of Andrew Moore from his three-month visit to Detroit from 2008 to 2009. 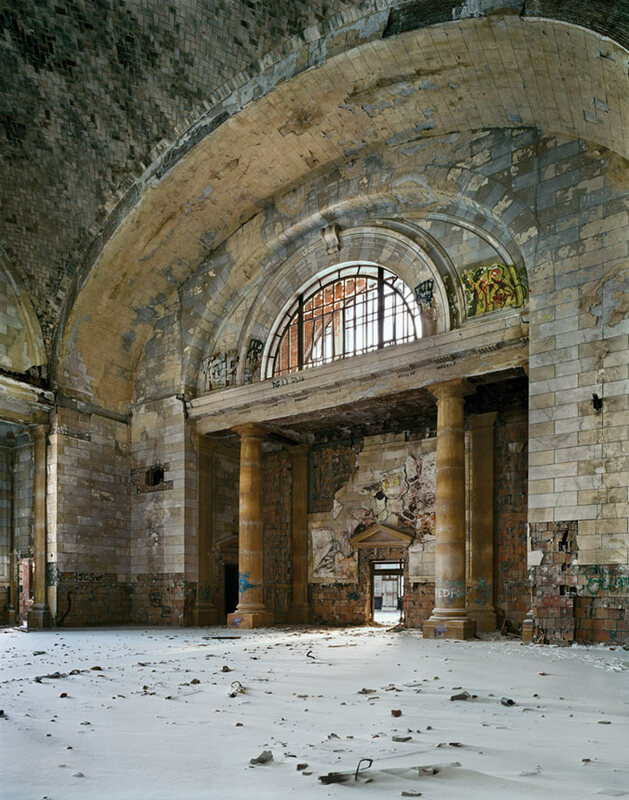 Moore’s photographs are a tragic yet beautiful glimpse into the decline of a city that was once the twentieth century industrial heart of America. 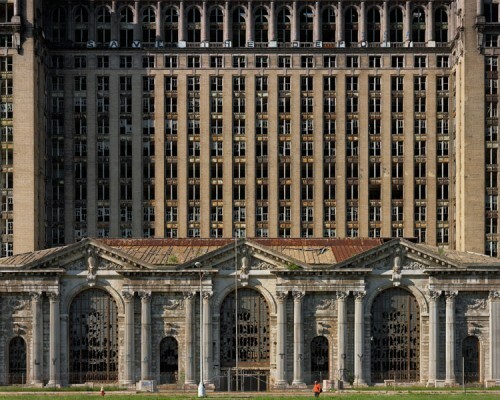 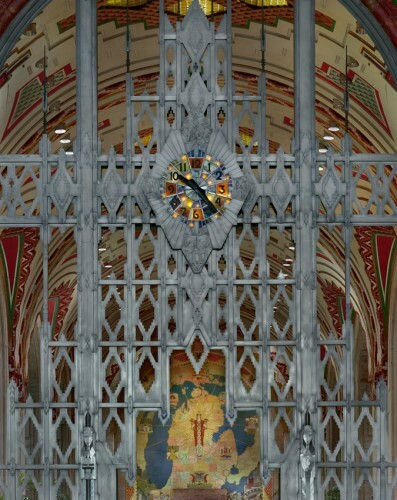 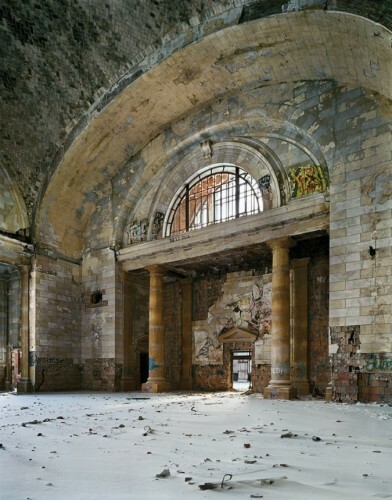 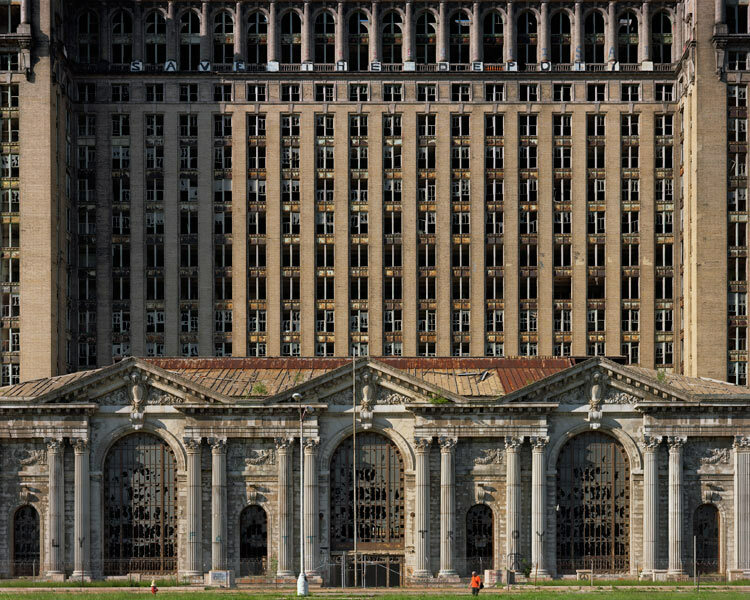 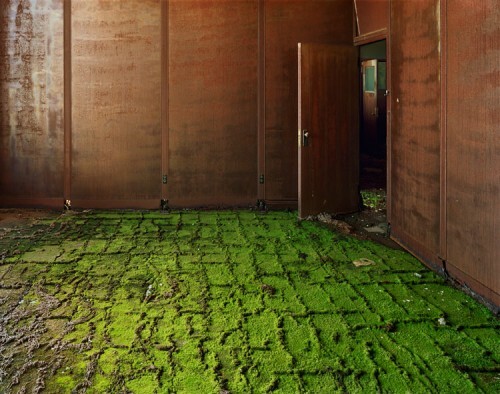 Michigan Central Station (above) stands empty, the organ screen at the United Artists Theater is crumbling, and bright green moss covers the floor of the former Ford Motor Company Headquarters. 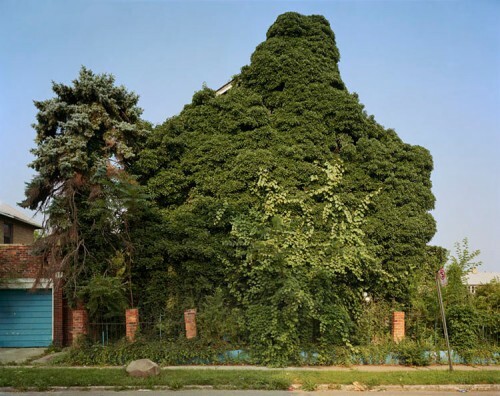 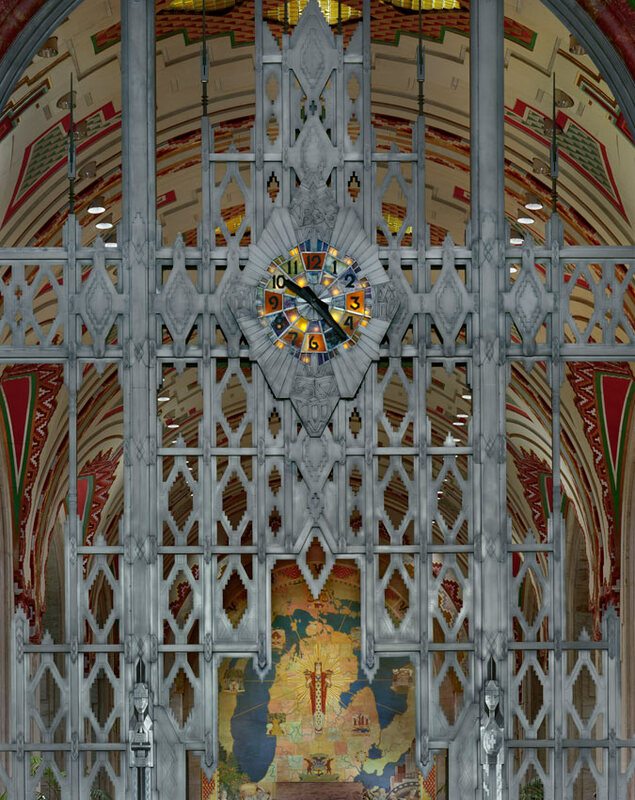 “Moore’s exquisitely realized visions of architecture overtaken by vegetation remind contemporary viewers that our own familiar culture is subject to the forces of entropy and the eternal strength of nature,” says a statement from QMA.